a couple of vendors took this set, it may be available later, but of course at a way higher price. also please note that the price exposed is the raw keycaps cost. the final price will be higher to cover expenses. Next Tuesday we should be able to give you the final price. that's another story, you need a server and some technical skills to install and use it though. I'd like to set up a server for everyone to use. No server, no skill needed. Can I ask what international shipping will cost? Have to get deciding - just over 24hrs left! I'm down if they are, you have plenty of room in that med flat rate box. Just have to get it to me. Currently 199 orders... let's break the 200 mark! Remember that the final price will be higher but you'll have 2 days to change or cancel your orders (but not to place new orders). Europeans, there will be an EU kit with all major languages if we receive enough orders from Europe! That would be awesome! I'll send you a PM for your address as that needs to go on the form. Cheers mate - now I owe you another favour! not in this first round. if there's enough interest we can make an expansion pack. I love the set. Your order system is great. Only one suggestion: have it email the magic number or a link with it to the paypal email given. I just sent it to myself so I don't lose it. Almost missed this, but got my order in. Thanks! I'm setting up a features wish list for the management software. Next time it will be even better This time we have limited features, sending email is a hassle and I preferred to go live earlier and stripping it out. Mooost welcome glad you liked it. More than 3 colors is unicorn vomit. Look it up. A final (hopefully) couple of questions - what is the time frame for these? In terms of getting produced etc? Just because tj has offered to ship my set over here (UK) with our Klaxon order but I don't want to hold up delivery of that too much. Will these be shipping at (approximately) the same time as Klaxon? Also, any ideas (even roughly) on the extra costs on top of the 'raw' price (excluding shipping obviously) ? And since I've got a set, too, they should be able to fit all in the same small flat rate box (if priority is an option), meaning you won't have to even pay for shipping to me. "The actual final cost is higher and will include custom keys molds, shipping, paypal fees, packaging and spare pieces to cover SP errors"
You can see relegendables on one of the keyboards. Just to be sure.. there aren't going to be Super/Meta mods in plum, are there? I got confirmation from SP that DSA 7 units spacebar has the same mounting points than DCS 7 units. So all DCS will be converted into DSA. 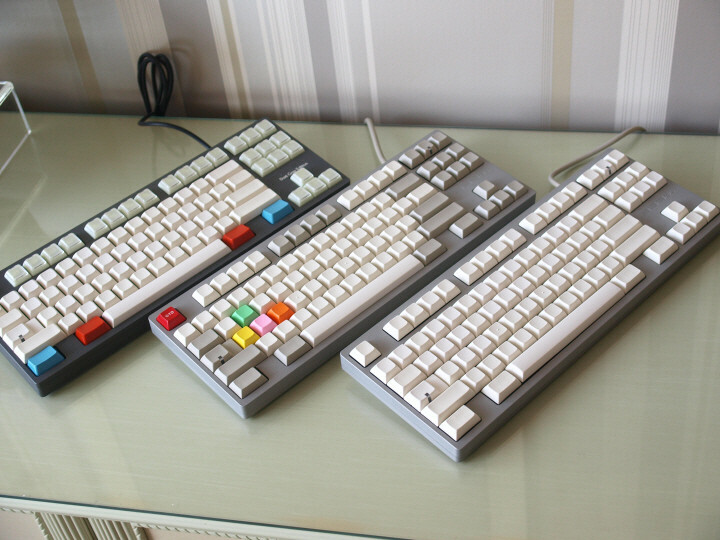 Topre, or not Topre? That is the question. I just had to get in on this one. I think the brown and plum keys look great. Any news on whether the 2 and 3 with UK symbols in the extras kit actually exist or whether we'll have to hold out for the euro kit? How do you get your order ID if it isn't saved as a cookie? Meant to write it down. If you submit a new order though it just overwrites your old one. The extra kit is confirmed. All keys are available without surcharge. Resend a new order with the same username. The previous will be overwritten, otherwise send me a PM and I'll send your order ID. I have a feeling this set is going to look stunning, especially because of the variety of colors. I'm curious to see how people will mix it up and which keyboards they'll put them on. Try it with the brown set, might look less unicorn-y. ErgoDox - this. 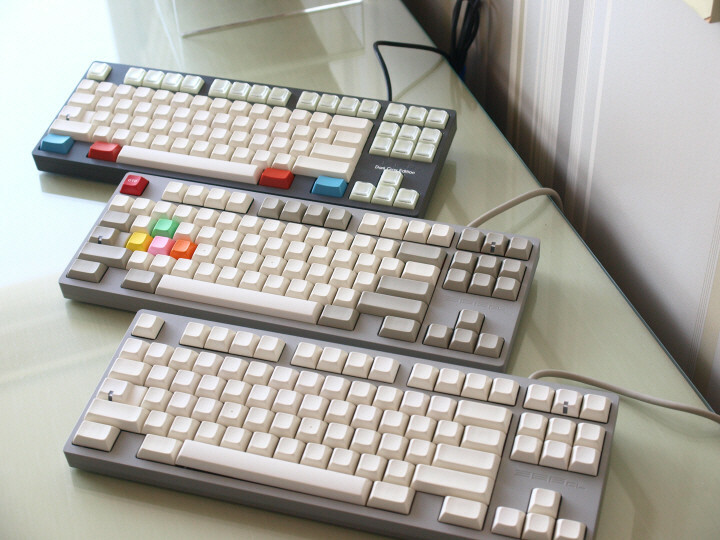 Ordered a set of the black PBT DSA keys from MassDrop. But - look how much better these will look. I'm ready for the next round, though, and hoping for white on blue. Those would look great on the ErgoDox with it's blue PCB. Heh. 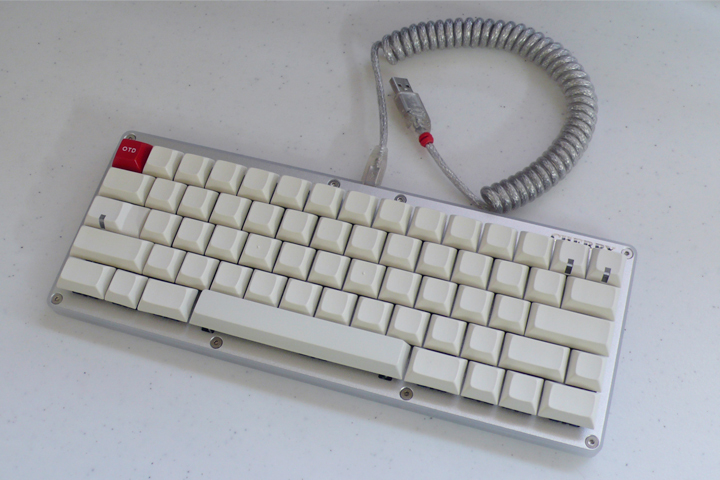 It wasn't SP back then that WYSE bought keycaps from. It was Comptec. Signature Plastics was established in 2001 following a management buyout of assets and customer base of Comptec Inc.
Oh interesting. Thanks for that tidbit! 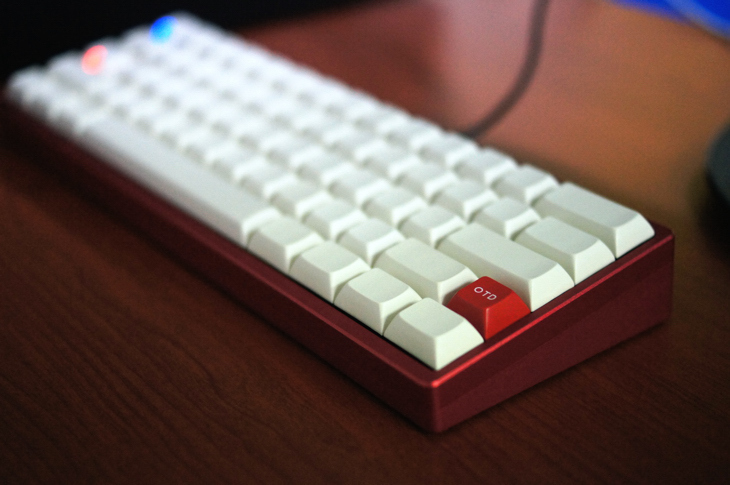 Still, $35K in keycaps is insane. Maybe send that via email. Wow! We should have a GB for some of those! They look awesome. Trusting words there Matt3o. I have lost my cookie oddly enough, but I do know I did buy some stuff that I was extremely happy with hence no modifications required. Thanks for running this buddy, all the way from beautiful Italia. Please remember to save the ORDER ID somewhere, being a textfile, email or in the cookies. You will need it to know the final cost of your set. If you lose it, write me a PM and I'll send it to you. We are trying to move fast to start production asap. The payment window won't be very long, if you are not sure about your purchase please cancel before invoicing starts. YES most definitely. You have shown your skills to everyone here on Geekhack and we never forget Group Buys such as this. Retro set officially doesn't accept any more new order! Is there any change of getting the C64 logos in plum without the whole plum set? Just wondering as I was debating the plum set but decided the extras all came in brown so to go for that instead but the little plum C64's are very nice. Not a big deal if not at all but thought it was worth asking. Really nicely done btw.